Bubba Wilson, Ryan Collins, Josh Yellen, Buy provera online without prescription, Eduardo Beltran and everyone else who helped make the recordings possible. This entry was posted in Orlistat non prescription and tagged interview, Matt Camarillo, overuse, shoulder, smu18, Sports Medicine Update 2018, tendoitits, tendonopathy on April 8, 2019 by Host of The SMB. Who is Dr. Matt Camarillo? 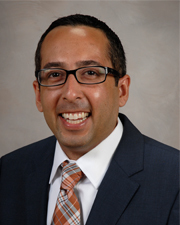 Dr. Matt Camarillo is an Assistant Professor in the Department of Orthopedic Surgery at McGovern Medical School at The University of Texas Health Science Center at Houston (UTHealth). Dr. Camarillo specializes in Sports Medicine, treating both acute and chronic injuries with an emphasis in injuries of the knee and shoulder. He gained practical experience treating sports related injuries first as a student trainer at the University of Texas at Austin, and then during his fellowship working with the University of Kentucky, Eastern Kentucky University, and Kentucky State University. Matt Camarillo received his undergraduate degree from The University of Texas at Austin. He attended Medical School at the University of Texas Health Science Center at Houston, followed by a residency in Orthopedic Surgery. Dr. Camarillo then completed an Orthopedic Sports Medicine fellowship at the University of Kentucky in Lexington, Kentucky. Need to see the slide show? Some people just need to see it, therefore I have almost all of the slide shows available on a Google Drive folder. If any are missing and you would like to see them let me know. Hey Jeremy, Who is your favorite Hydration Company? Something you like, want to see more of? This entry was posted in Orlistat non prescription, Workshop and tagged Matt Camarillo, overuse, shoulder, smu18, Sports Medicine Update 2018 on April 1, 2019 by Host of The SMB.